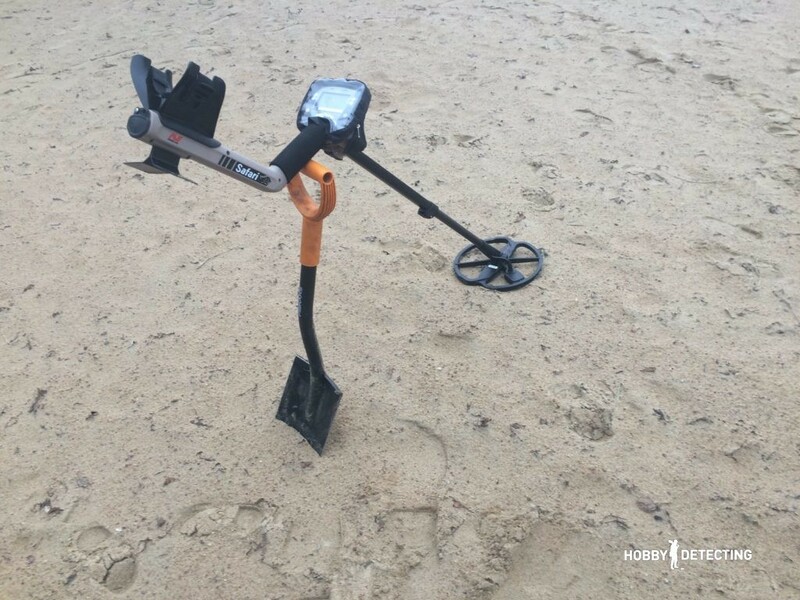 What kind of metal detector is the Minelab Safari? Well, finally I got my hands on a professional level device with a rather big price of 700 euros and a so-called model range in 2009. By the way, remember what gadgets were at that time and how they were? At the time, it was a quite competitive and serious piece of engineering. 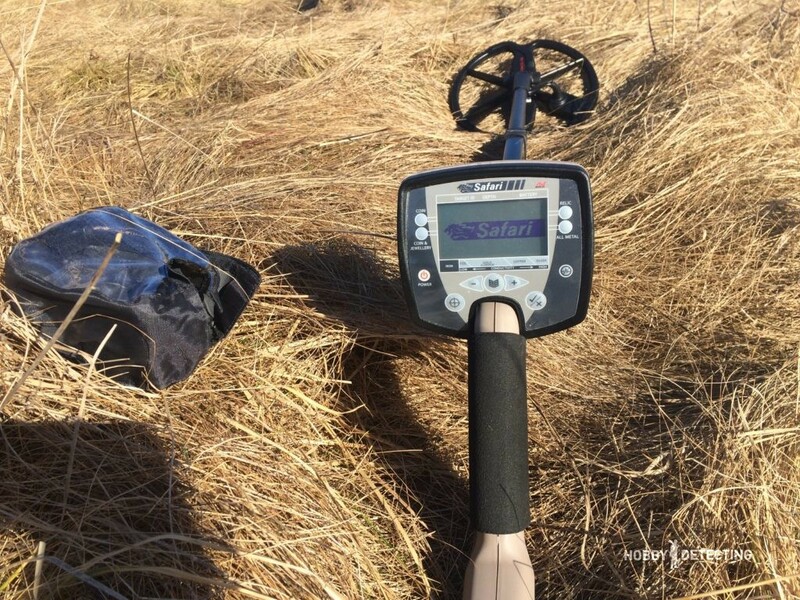 What experience do I have with other detectors before I bought the safari? I used to have the Ace 250 with the Nel Sharpshooter coil and the Fisher F44. These detectors are very easy to understand, and because I am the person lazy and I do not like any complicated settings, I appreciate the simple and clear interfaces. 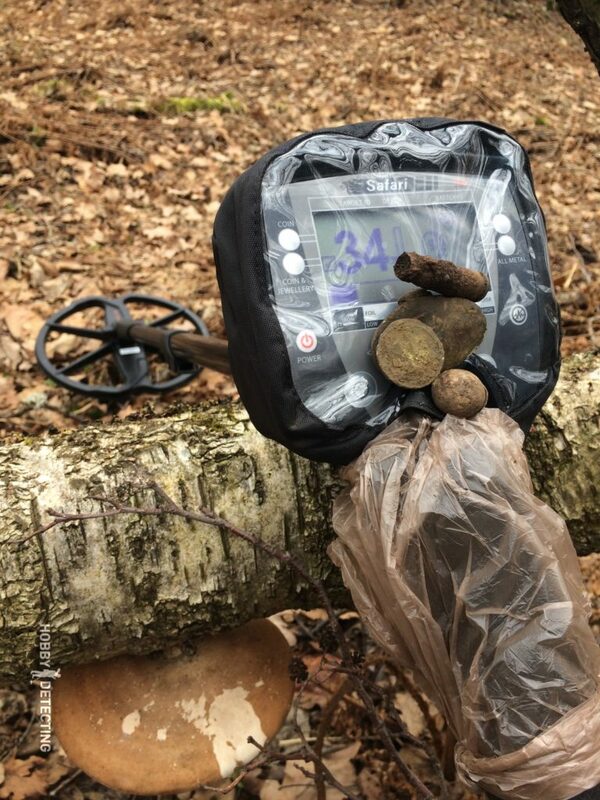 I bought a rain cover for my detector, because after all the metal detector is not waterproof and it is necessary to protect expensive equipment. Turning on the detector I was very pleasantly surprised that the menu was so simple that after a couple of minutes you already know how to use it. The menu has no “hidden” mode and settings. It is easy to understand, but anyway I would recommend to read the instruction manual before use – then all questions about setting up and using the detector will disappear. The detector has simplicity, the high quality, but a pretty decent weight, because it uses 8 AA batteries. 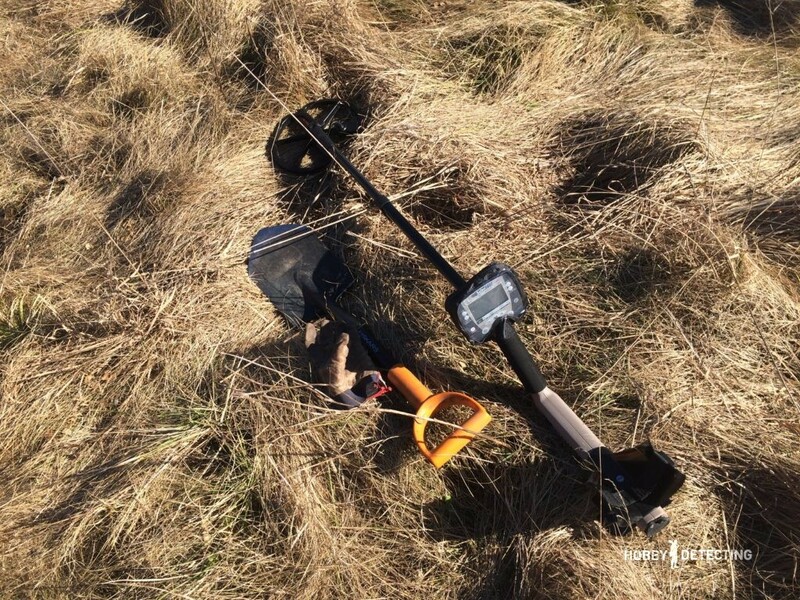 But one thing that threw me off with the Minelab Safari was the promised FBS technology which allows the metal detector to work simultaneously on a 28-frequencies – from 1.5 to 100 kHz, and this should allow (in theory) equally detect large objects at the maximum depth (due to the low frequencies – 3 kHz), and small things (due to the high frequency spectrum – 20 kHz or more). Since Safari costed less than the E-Trac, my choice fell on it. 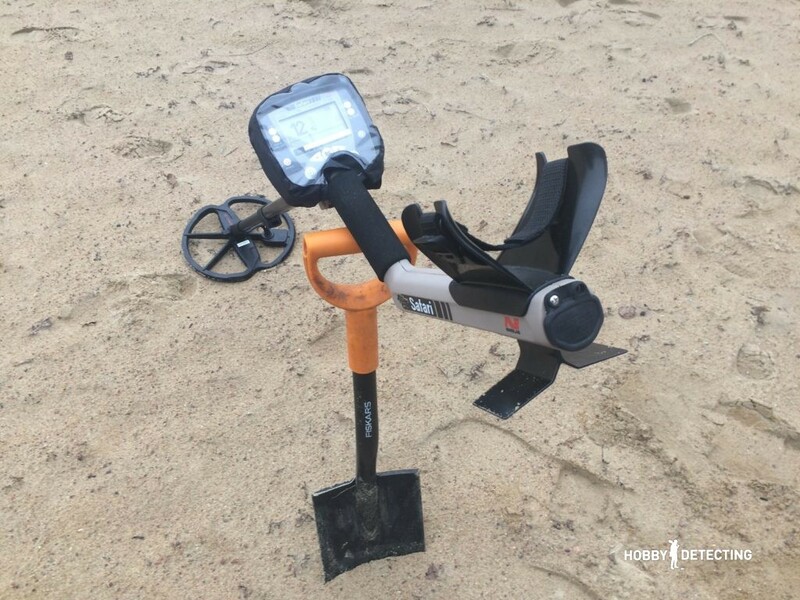 Without reading the manual, I went detecting to a sand area nearby. The device immediately began giving all kinds of signals, but I quickly understood that they were trash signals. Suddenly, among all this trash I got a good signal, I dug: a modern coin. After about half an hour I had found two coins, and please note – no foil or other kinds of trash. Still I hesitated, a detector in such a range can’t be this simple and perhaps there are some hidden features, but after reading the manual, I found nothing. I have the impression that the detector either is too smart, or I did not really understand what it signals to me. Of course, I wanted to hurry and get some experience in the field. 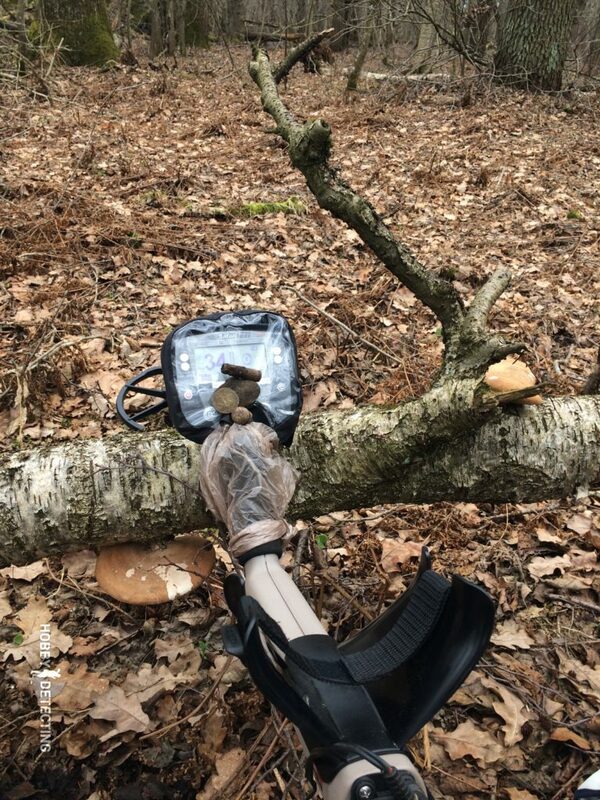 In the fields, I had the same result, my friend with the Deus dug a lot of trash, while I only got a few signals, one of them being a brass ring. In 4 hours I dug three signals, but something to notice – no foil and wire, like a fellow with the Deus. It seemed to me that detecting was a bit boring, because you have to swing the coil very slowly, and even then, when you hear a signal you have to go back and check it, and if the place is very littered, the detector slowly receives the signals – this could be a slow processor and a large amount of information coming at it, yet at the same time it scans in 26 frequencies, and when the signal reaches the ears, the place where the object was, is now gone. With the long and slow swipes, and the long time between digs, your hand gets quickly tired and begin to freeze. The detector is very interesting and intelligent. It is quite suitable for those who do not like a lot of digging and only want to dig good targets. To get maximum results in detecting, you better wave it slow over the fields, which will give a minimum of signal passes. It is better to move slowly, but to collect more finds. 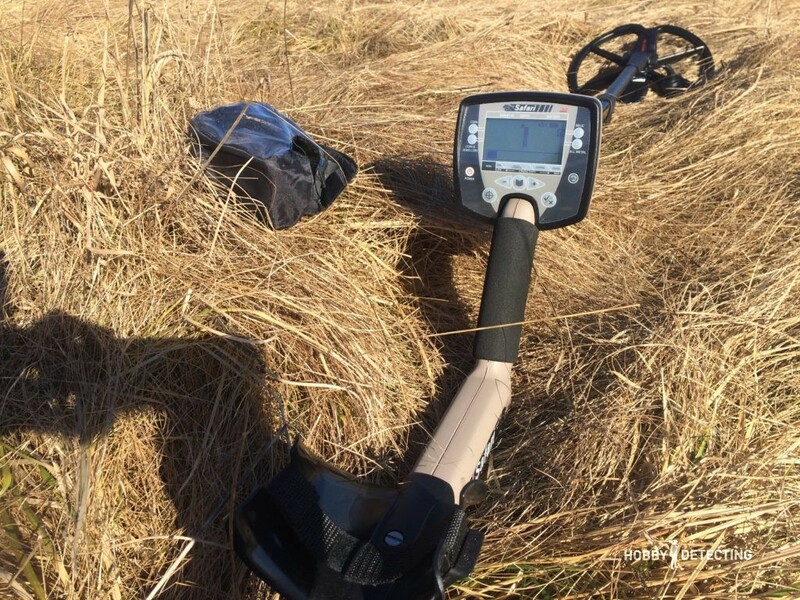 But again, for the exploration it is always better to have an extra detector, one with which you can quickly run through the field with to find the coin areas (the coins on the field never lie evenly and are concentrated more in certain areas), and then to search there with the Minelab safari (mentally make squares of 5 by 5 meters, for example). The depth on it is trimmed (it is not the E-Trac, but it also costs less), and therefore it is better to replace the standard coil to another, from a third party. A gain of 20% -30% is guaranteed. And what is your experience with the Safari? Do you have something to share? All the reviews on the metal detectors and search techniques we have gathered here. 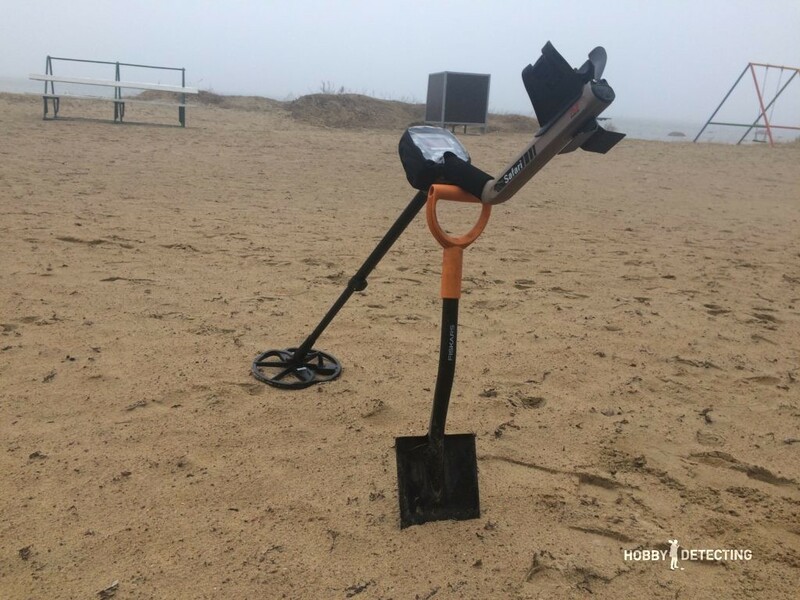 You do not know where to start digging? We collect all our “diggers tips” here! Different people, different opinions 🙂 I prefer quick swing, for example, so looking for a fast response.